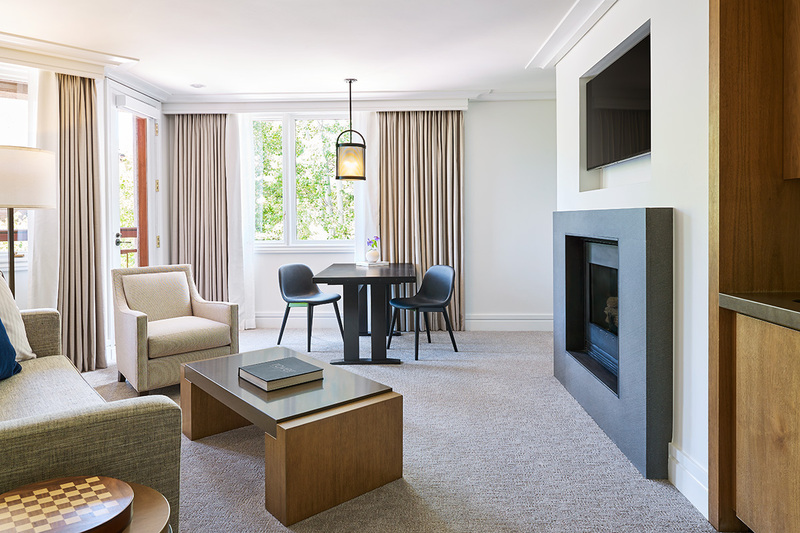 A junior suite at The Little Nell. All photos courtesy of The Little Nell. Gentedimontagna senior editor Berit Baugher checked into The Little Nell, a quintessential Colorado mountain retreat with a fresh new look. ASPEN, Colorado – When your day-to-day life is spent in a bustling metropolis, there is something magical about stepping onto a tarmac with snowcapped mountains in the background. The sounds of honking cars and ambulance sirens are replaced by silence and the occasional leaf rustling in the wind; the air is crisp and clean; the slightest twinge of an altitude headache confirms that you have, in fact, ascended to an elevation of 8,000 feet. My flight landed at Aspen-Pitkin County Airport on a cool day in June. I took a quick look around, soaking up the landscape, and made my way to the baggage claim, where I was promptly met by a driver from . Having opened its doors in 1989, the iconic mountain resort has become a beloved second home for people from all over the world. I first visited in my early teens with a friend’s family (they were regulars). I returned several times over the years, always in the summer, and have memories of hikes with local expert Katie Buster and a white-water rafting trip that ended in a bush full of moths. This particular trip coincided with the reopening of The Little Nell after a three-month renovation by . My stay was short and sweet. 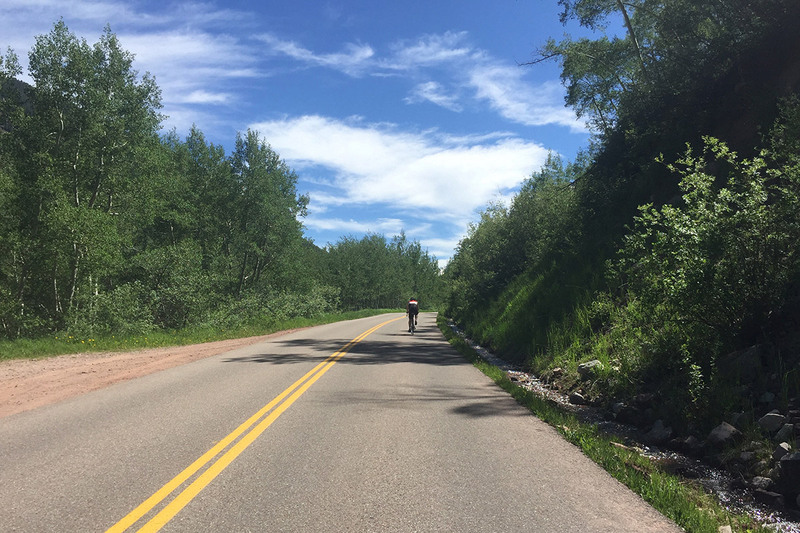 I spent most of my time outside: I rode the gondola to the top of , where a fresh layer of snow covered patches of dirt; I did the hardest uphill bike ride of my life; and I spent a leisurely Sunday morning walking the . 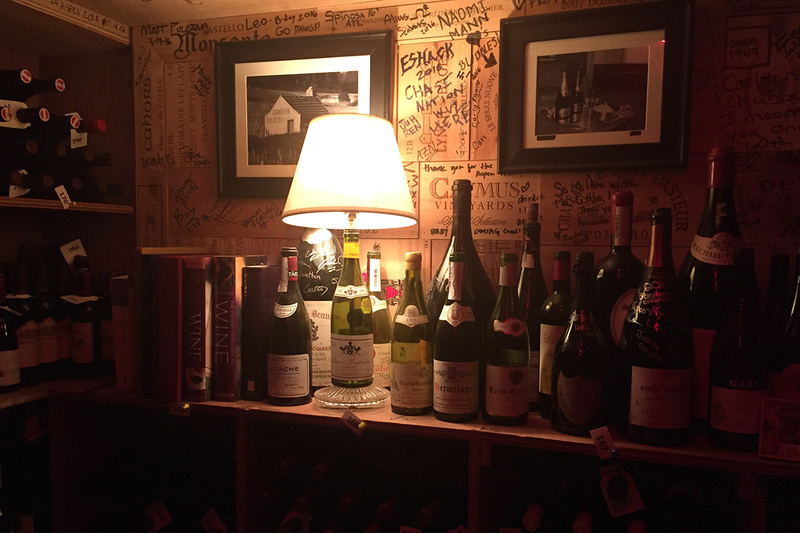 I dined at the hotel’s two restaurants, and , and made sure to pop downstairs to the famous wine cellar. I reacquainted myself with the town, which feels both small and incredibly cosmopolitan. Boogies is long gone, but the new more than makes up for it. The thing about Aspen that I’ve always liked, even as a teenager, is how it feels both far away and familiar. Despite all the pomp and circumstance that comes with being a resort town that caters to a high-end traveler, it’s a quaint mountain town at heart. The newly refreshed guest rooms. 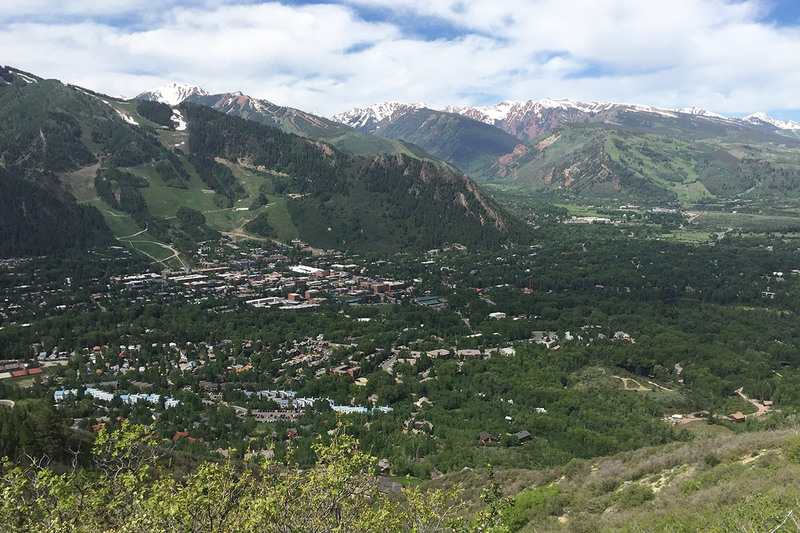 Location: Nestled between the foot of Aspen Mountain and the charming downtown district, the central location is hard to beat if you enjoy a little action. Hotel Style: Worldly and elegant, but not outrageously extravagant, with classic decor and objects that create an intimate and friendly space. This Place is Perfect For: Couples, families, and groups looking for top-notch service, sophisticated food and wine, and mountainside access. What’s On Site: A heated outdoor pool and jacuzzi for post-slope soaks. Several cozy nooks for curling up with a good book or watching passerby. A ski concierge who can take care of everything from boot warming and tune-ups, to equipment storage and arranging lessons. Complimentary snow and cruiser bicycles. Bowls, beds, and epicurean treats for four-legged friends. A hotel boutique with snacks from Element 47 and chic gift items. A health center with a gym and spa. And, for the hard-working CEO, a board room with professional AV equipment and a stocked business center. Food + Drink: For the best apres-ski action, head to , a laid-back indoor-outdoor restaurant with a sun-drenched mountainside patio. Order the double cheeseburger with truffle fries. 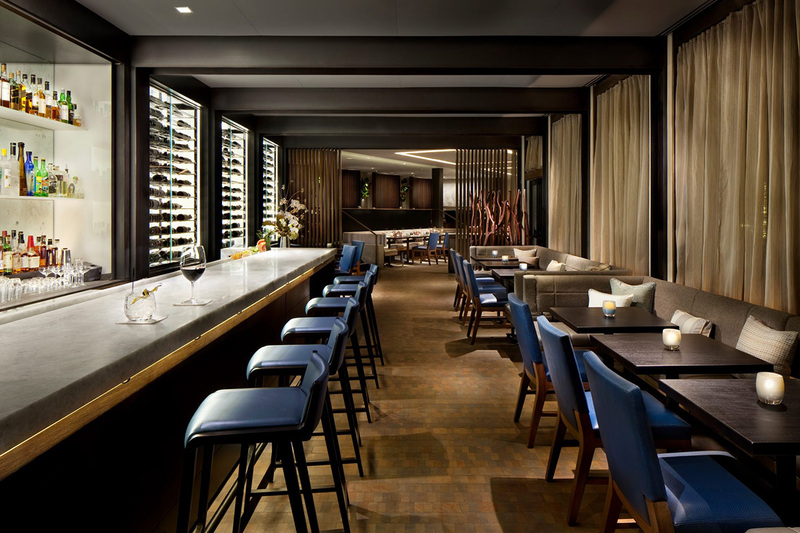 offers all-day, upscale American fare in a casual, no dress-code setting with booth-style seating and wood accents. The award-winning wine program is run by Carlton McCoy, who deserves a shout-out for his impeccable knowledge. Organize a private cellar tasting in the restaurant’s Red Light Lounge for a memorable evening among the hotel's wine collection, 20,000 bottles strong. The view from a mountainside guest room. Red Light Lounge. Photo by Berit Baugher. 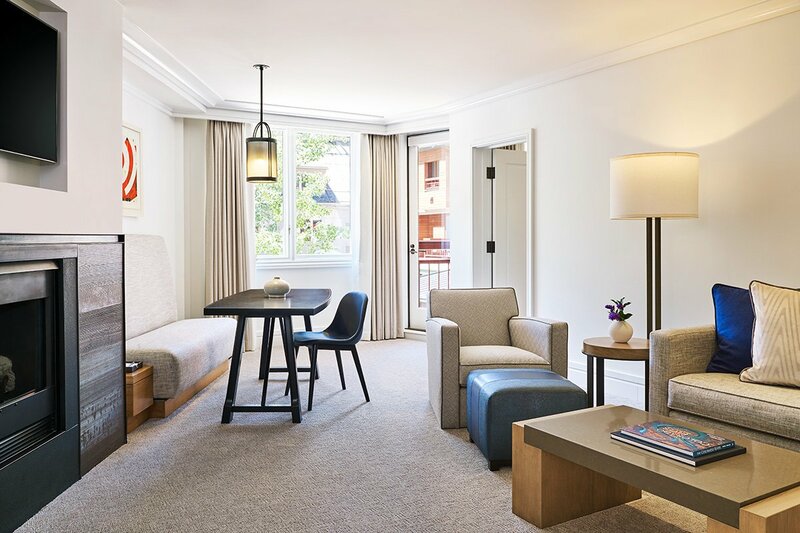 Earlier this year, the 52 guest rooms, 26 premium guest rooms, eight juniors suites, and the guest floor corridors were refreshed by with a lighter and brighter palette of blues, tans, and greys. 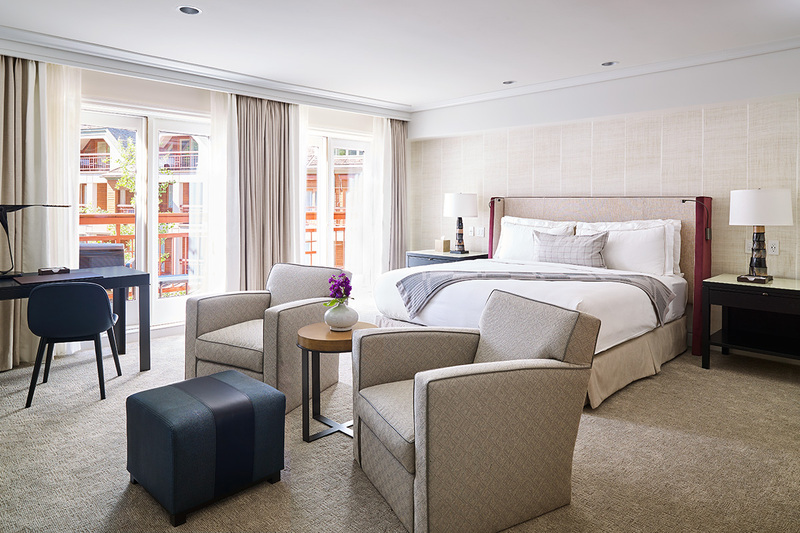 New h carpeting, decorative pillows, and custom throws are a few of the elements that were added to each room. 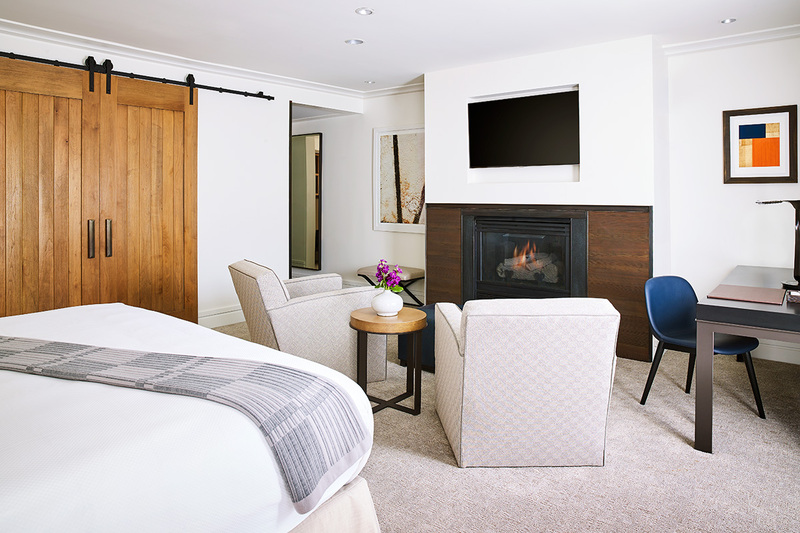 A stone-clad, gas log fireplace keeps the rooms toasty during colder months, while beds are dressed with Fili D’oro down comforters and white goose-down pillows. Hypo-allergenic bedding is also available. The fully-stocked refreshment bar is filed with complimentary non-alcoholic beverages and snacks from local Colorado brands like Boulder Canyon potato chips and R-Barr granola bars. Daily newspapers can be requested and the WiFi is strong and free. The bathroom is lined in Creme de Marfil heated marble flooring and has both a steam shower and jacuzzi soaking tub. The all-natural toiletries are by June Jacobs Spa. Although the services are great, the health center spa is small and underwhelming. It’s all about your location in Aspen and a stay at The Little Nell comes with one of the best addresses in town. As the only hotel with ski-in, ski-out access to Aspen Mountain, guests have more time to enjoy the slopes and first-class amenities. The hotel provides complimentary airport transportation services, rides around town, and ski suttles to all four mountains. 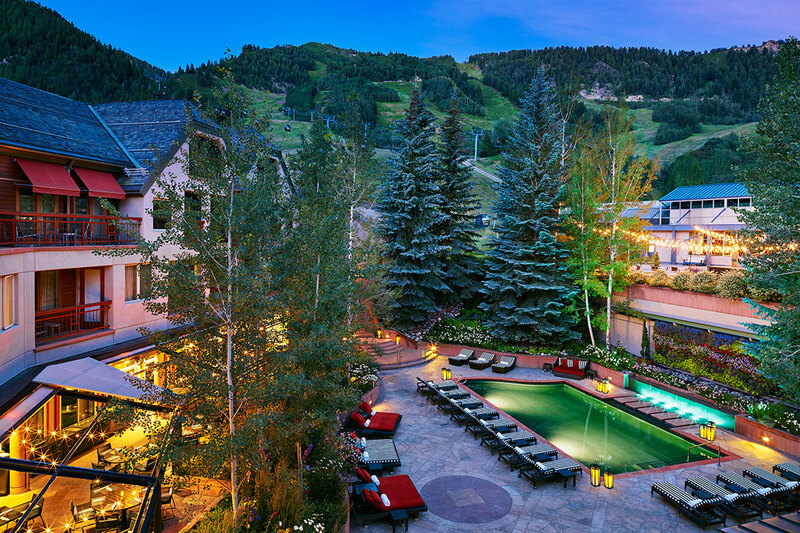 Rates from $575 per night. .
Aspen Mountain. Photo by Berit Baugher. The beautiful Maroon Bells. Photo by Berit Baugher. The ride up to the Maroon Bells. Photo by Berit Baugher. First-time visitors will be surprised to discover that downtown Aspen is actually quite small, despite its larger-than-life reputation. Based at the foot of the mountain, the tony village is comprised of a handful of restaurants, bars, shops, hotels, and homes. Don’t let the small-town look and feel fool you though, standards are high, so the shops are mostly big name designers and the restaurants are on par with those you might find in New York City or Los Angeles. Two recent openings include , a casual farm-to-table cafe and shop that feels more Brooklyn than Colorado, and , a fancier spot from local chef Barclay Dodge, who drew inspiration from his international travels. Spending time in the great outdoors is the real reason to visit Aspen. Winter months are dominated by snow sports like skiing, snowboarding, and snowshoeing, while warmer months are great for cycling, hiking, and fly fishing. A to the top of Ajax Mountain is a must regardless of the season; ski or hike your way down or join one of the mountaintop yoga classes. 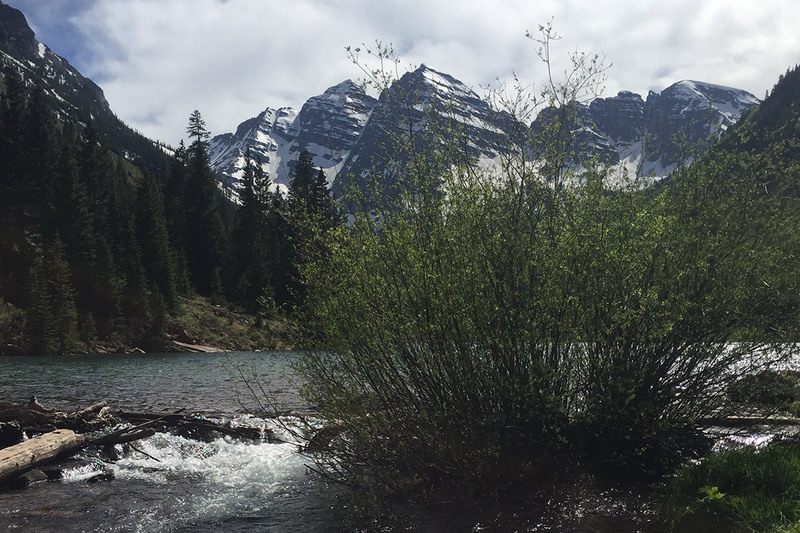 An uphill bike ride to the Maroon Bells isn’t for the faint of heart, but it is worth the effort. You’ll be rewarded with stunning views at the top and pure exhilaration as you whiz downhill on your way back to town. For a scenic hike not too far from the hotel, ask the front desk for a ride to , where mountain water fills a roaring stream and the fields are flush with wildflowers and Aspen trees during the spring months .